Now that I’ve had a little time to decompress from WordCamp San Francisco, it’s time to think through the events of the weekend and record my thoughts. First off, I should note that I almost didn’t make it to WCSF, but I’m super glad I did. For a variety of reasons, I didn’t think I’d be able to get there and hadn’t even purchased a ticket when they sold out. The only reason I was able to attend what ended being a genuinely historic event was thanks to the generosity and overall awesomeness of the guys over at Happy Joe. For those of you who aren’t familiar with them, Happy Joe is a “U.S. Veteran non-profit business who provides valuable opportunities to other service members from all branches.” They specialize in providing training, mentorship, and placement for veterans in the technology industry. As a veteran, I 100% support the work they are trying to do and am eternally grateful to them for the opportunity they gave me this past weekend. For all the other veterans and business owners out there, I highly recommend taking note of the Happy Joe team. If you can help them help a veteran, please do. Our service members deserve as much thanks as we can give them. If you are a veteran in need of assistance, take it from someone who knows: aid can come when you least expect it! Previously, I mentioned that this WCSF was a historic event. It’s undeniable that every year the San Francisco WordPress community outdoes itself and puts on a spectacular event, but this year had a few surprises in store for us. As WP Tavern contributing writer Jeff Chandler recently said, “[a WordCamp is like] a big family reunion except I want to be around these people.” In my experience, this sentiment holds; every WordCamp is a whirlwind of visiting with old friends (who might as well be family), and being introduced to the occasional long-lost cousin you bump into regularly online but haven’t ever met in person. This reality is perhaps my favorite part of attending WordCamps, possibly even the whole WordPress ecosystem. Yes, many of us maintain open lines of communication between WordCamps but, just as with family, actually being in the same room with friends is an entirely different ballgame. Don’t get me wrong; I attend my share of talks, help out with the ever-important Happiness Bars, volunteer, and so on but, for me, WordCamps are really about the people. Where else can you throw two hundred, five hundred, even a thousand people from all walks of life who share no commonality save a love of WordPress in a room and watch the magic happen? So yes, I will continue to participate in WordCamps to whatever extent possible, and I will continue to contribute to the epic multinational family that is the WordPress community. Beyond the community components which encompass all WordCamps, the San Francisco WordCamp has held a special place for many members of the community. As the location of the first WordCamp ever and home of Automattic, WordCamp San Francisco has always stood as one of the most important events of the year for the community. It is here that WordPress founder Matt Mullenweg gives the annual State of the Word address outlining the future of our favorite platform in the year to come. This year, however, the address contained a few surprises which shocked even the most dedicated members of the community. 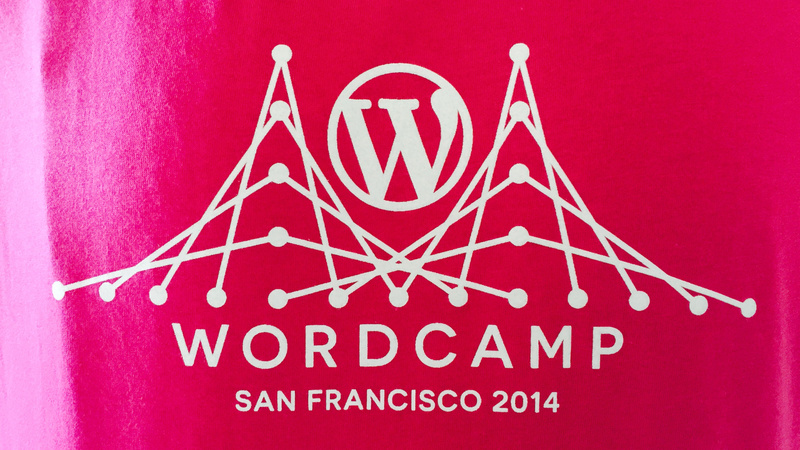 Perhaps most surprising of these was the announcement that this, the ninth WordCamp San Francisco, would be the last. Though the reasons for this decision are sound, including the fact that the community has outgrown the venue for WCSF, this paradigm shift still caused a significant amount of discussion during the remainder of the conference. 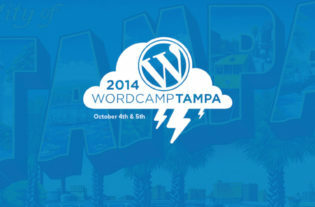 While this weekend seemed to mark the close of a chapter in WordPress history, it also brought the promise of change in the form of a new cornerstone for WordCamp organization through the announcement of the first ever WordCamp US. While the exact location and date of this event are still unknown, I for one am curious as to what Matt and the rest of the teams from Automattic, WordCamp Central and, likely, many of those who have been involved in organizing the largest WordCamp in US history have in store for us next year. So what could top this announcement? How about some impressive statistics! In the last year, WordPress has shattered many of its statistics from previous years. I’m not going to go into detail on all of them, but I will summarize some of the cooler ones below. If you’re curious as to just how far WordPress has come this year, I highly recommend watching the video of Matt’s address. In 2014, non-English downloads of WordPress surpassed English downloads for the first time. There have been five major and seven minor releases this year, with a total of 785 contributors. There are over 34k plugins and 2.7k themes in the official repositories. The plugin repository had over 1,000,000 commits. There are now 105 active meetup groups in 21 countries.